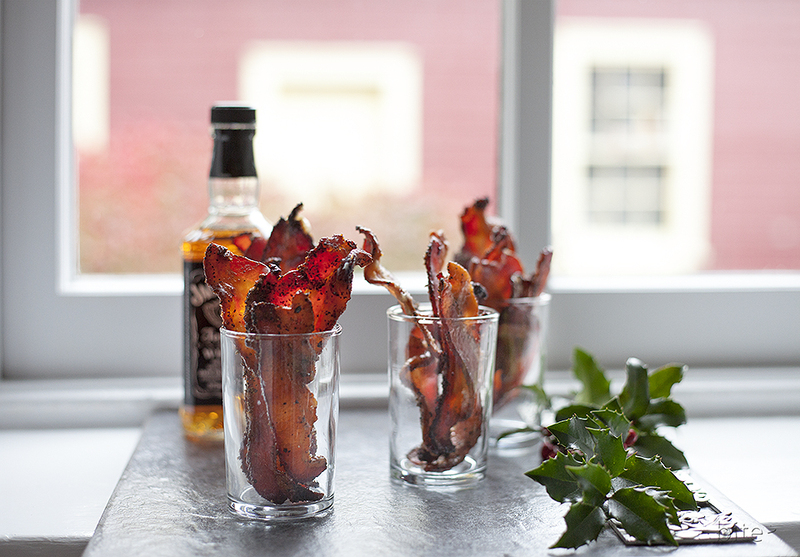 whiskey spiked maple bacon – hottest shot in town! 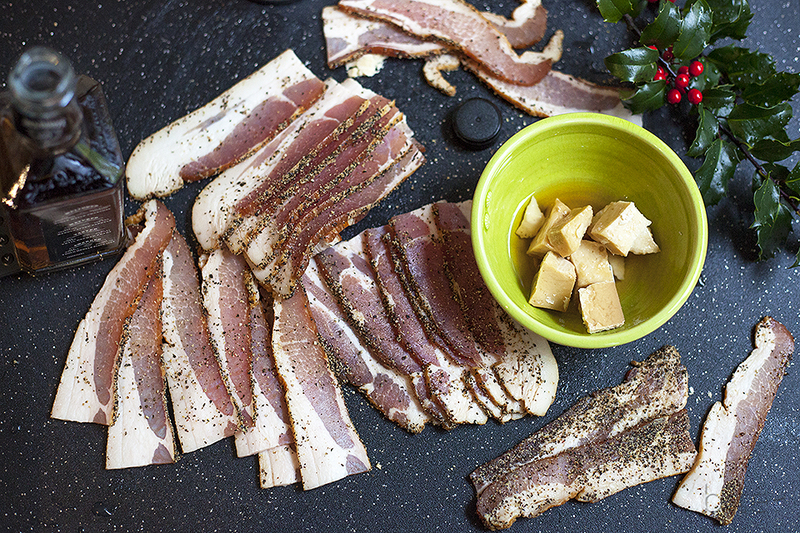 Last fall, I did a post called Spicy Beer Candied Bacon. My friends went wild every time I served it so I decided to play around a bit more with the recipe. Last Friday night I served, WHISKEY SPIKED MAPLE BACON to a group of very willing food testers. I had prepared this year’s bacon nibbly several hours earlier so the first tasting was at room temperature. The reaction was good but not as enthusiastic as I was hoping for. The next go-around, I popped them in the microwave for 10 seconds. It was just long enough to slightly warm the whiskey glaze. Overwhelmingly, finger-licking thumbs up! Every holiday season, it’s fun to have one over-the-top appetizer that’s easy to prepare. 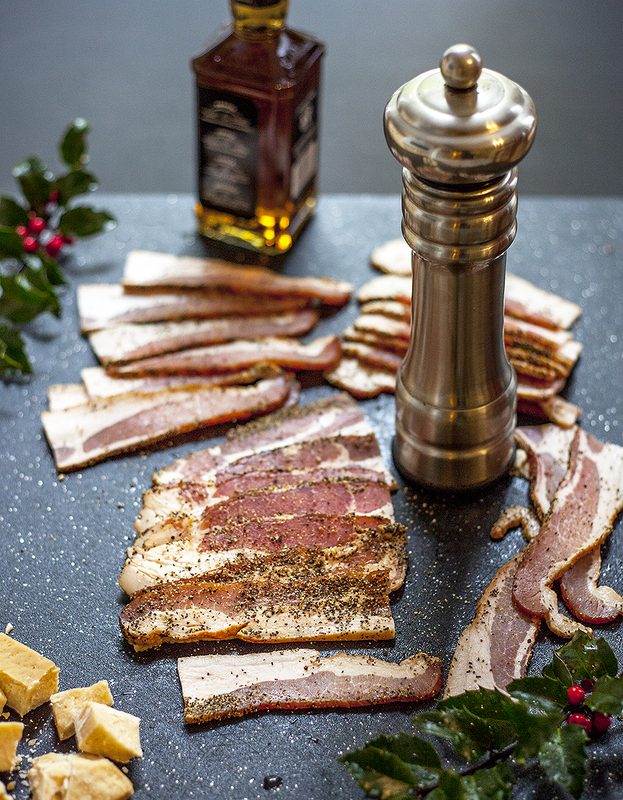 You can make my WHISKEY SPIKED MAPLE BACON several days in advance then warm them up in the microwave or have them coming out of the oven as your guests arrive. The smell of the bacon glazing will have your company drooling but make sure you let the bacon cool slightly before serving. Whenever a recipe consists of only four ingredients, it’s important to use the best possible products. Make sure you use thick-cut bacon as opposed to the regular stuff. The thicker slice gives you the time needed for the whiskey and maple cream to turn into a glaze. Thinner bacon cooks too quickly. I used Jack Daniel’s Whiskey because I love the flavour but feel free to use your own favourite. 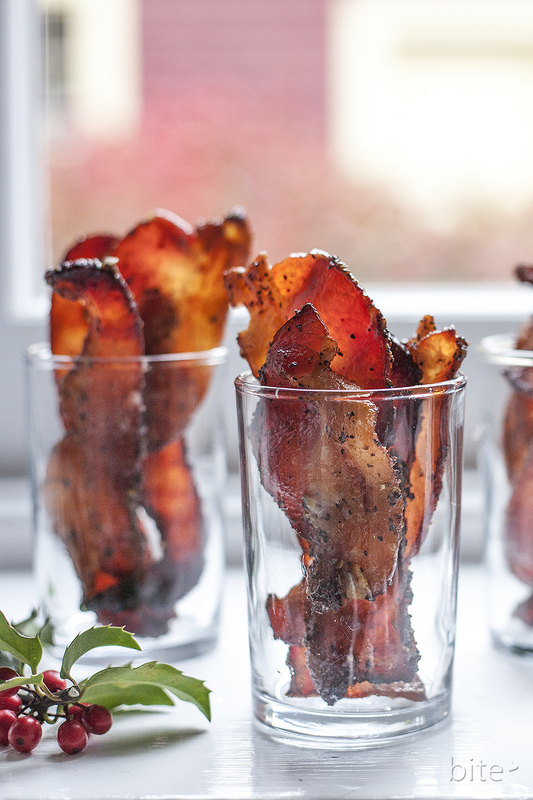 A little trick I figured out last year, after one of my eager guests ate almost a whole platter of bacon himself, is to serve everyone their own glass full. I guarantee, if my friend’s reaction is any indication, these WHISKEY SPIKED MAPLE BACON will be the hottest shot in town! Line a large baking sheet with parchment paper. – it’ll make your clean-up so much easier! Place a rack the same size on top of parchment. Mix together the maple sugar and whiskey. I used the bottom of a small glass to crush the maple cream. Sprinkle the bacon, on both sides with the black pepper. 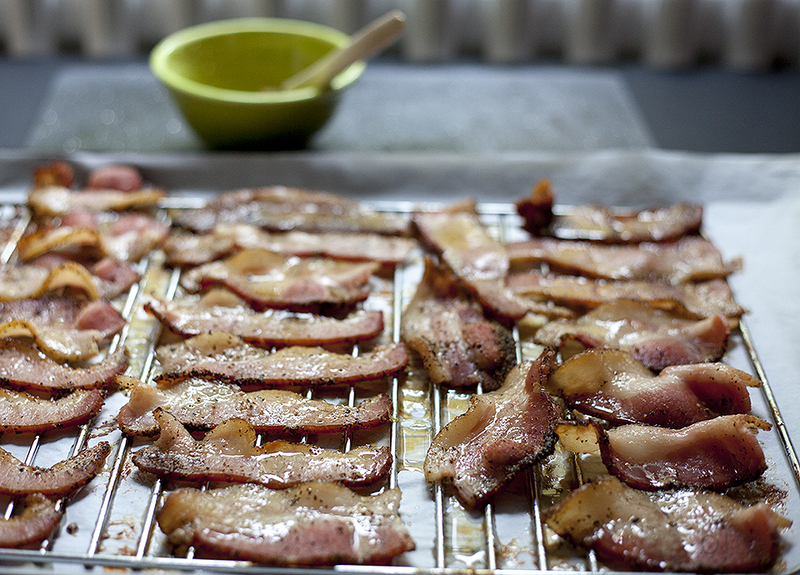 Lay bacon on rack – don’t worry if the bacon overlaps, it shrinks as it cooks. Place in preheated oven for 10 minutes. Remove from oven and paint bacon on top side with whiskey mixture. Repeat paint process on the other side and bake for another 15 minutes or until bacon is golden and crispy. 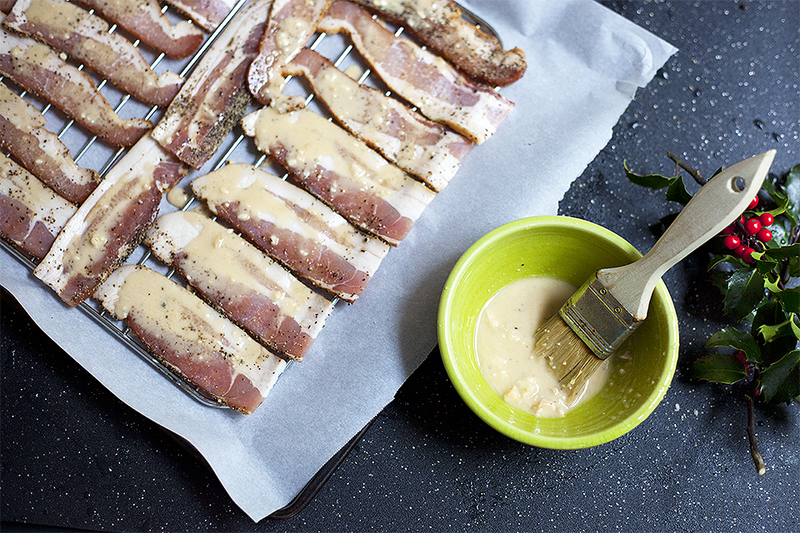 Remove from oven and allow bacon to cool for 10 – 20 minutes before serving. THE LOVE: The bacon will burn easily when you get to the last 10 minutes so watch it carefully! This entry was posted in appetizer and tagged bacon appetizer recipes, bacon recipes, easy appetizers, maple cream recipes, maple sugar recipes, whiskey recipes by Michelle. Bookmark the permalink.